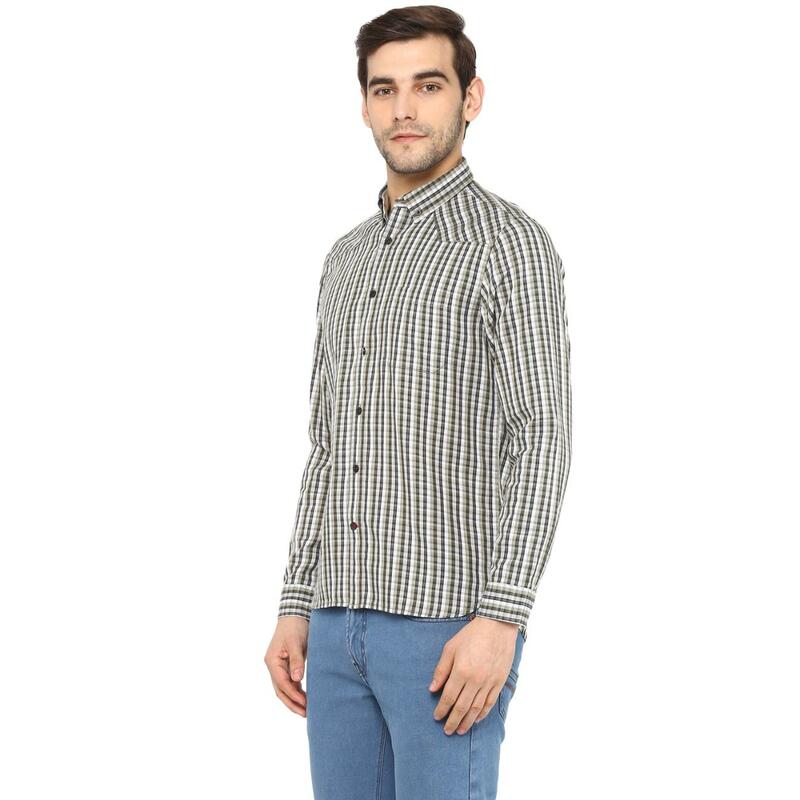 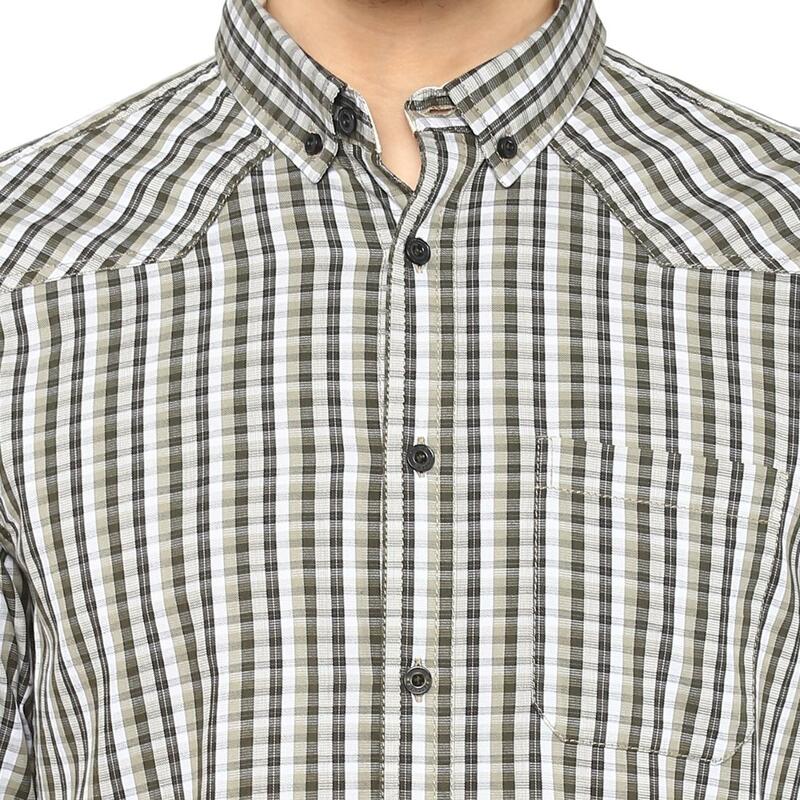 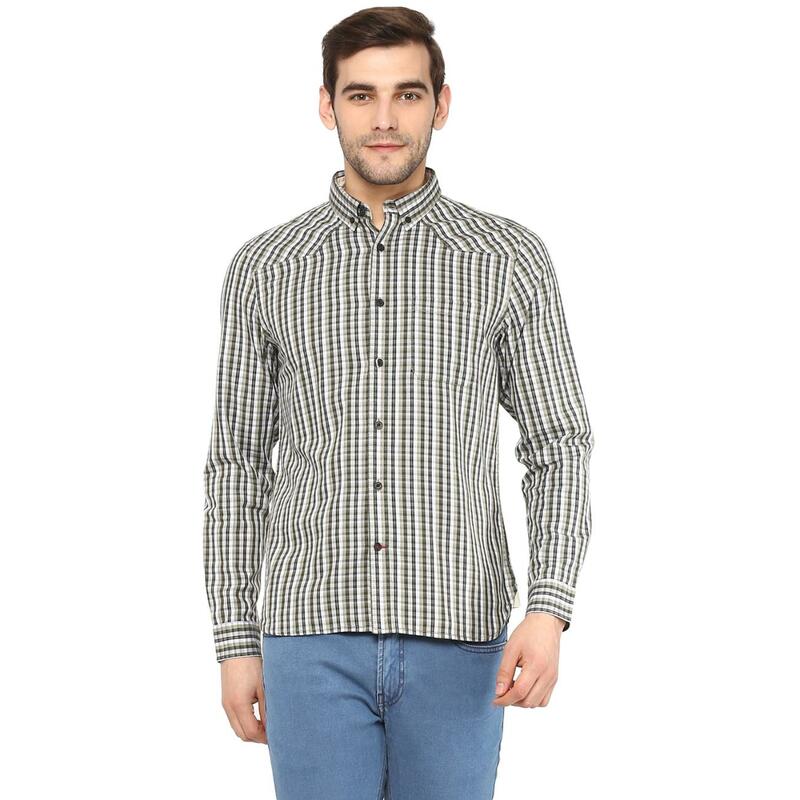 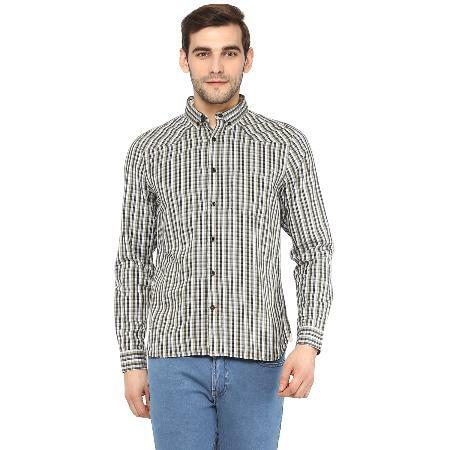 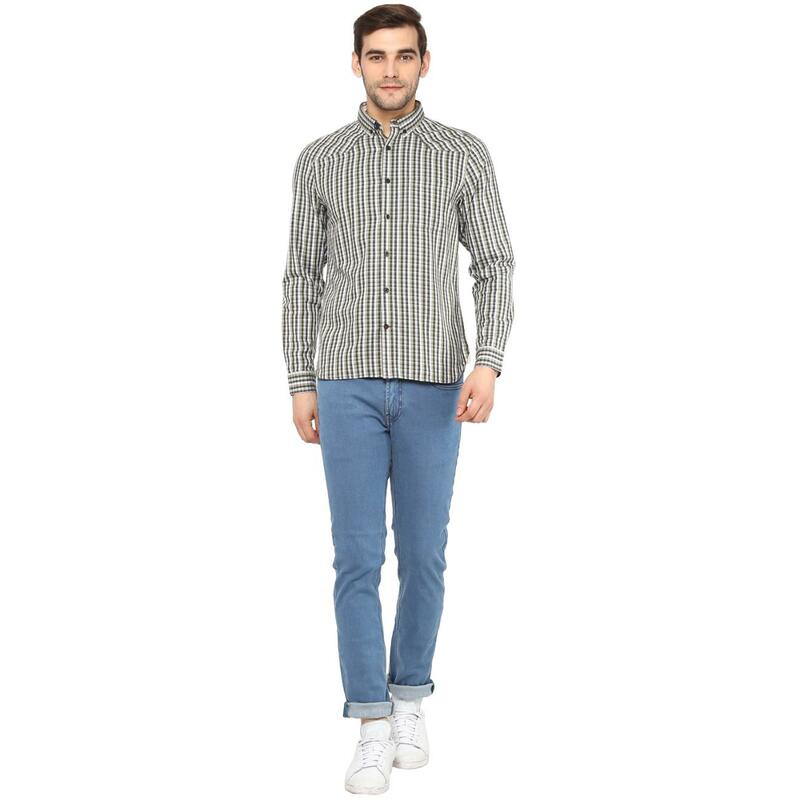 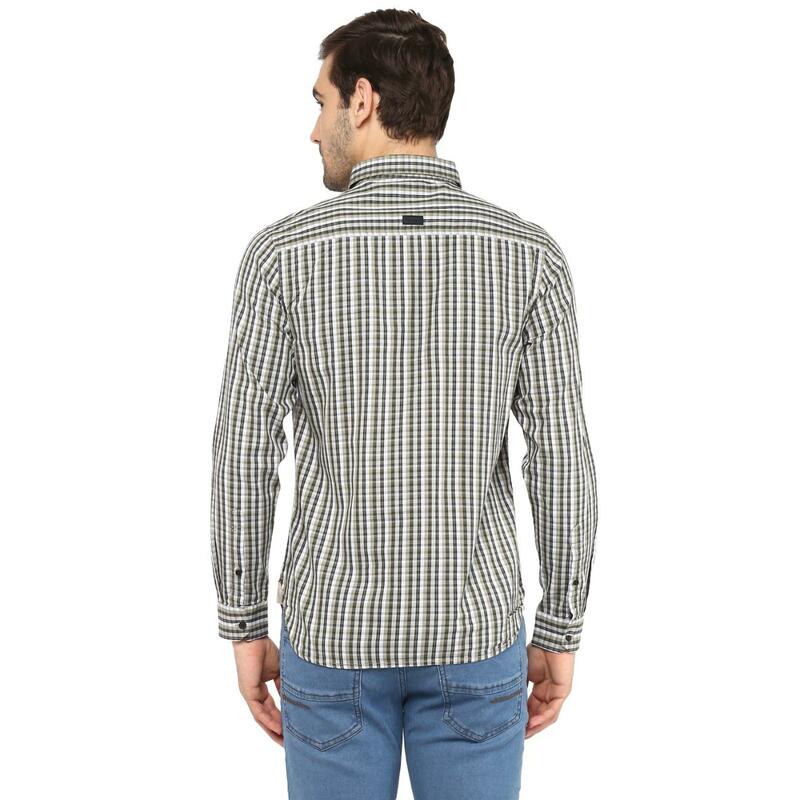 Checks are always in fashion and so is this white and green casual shirt from Red Chief. 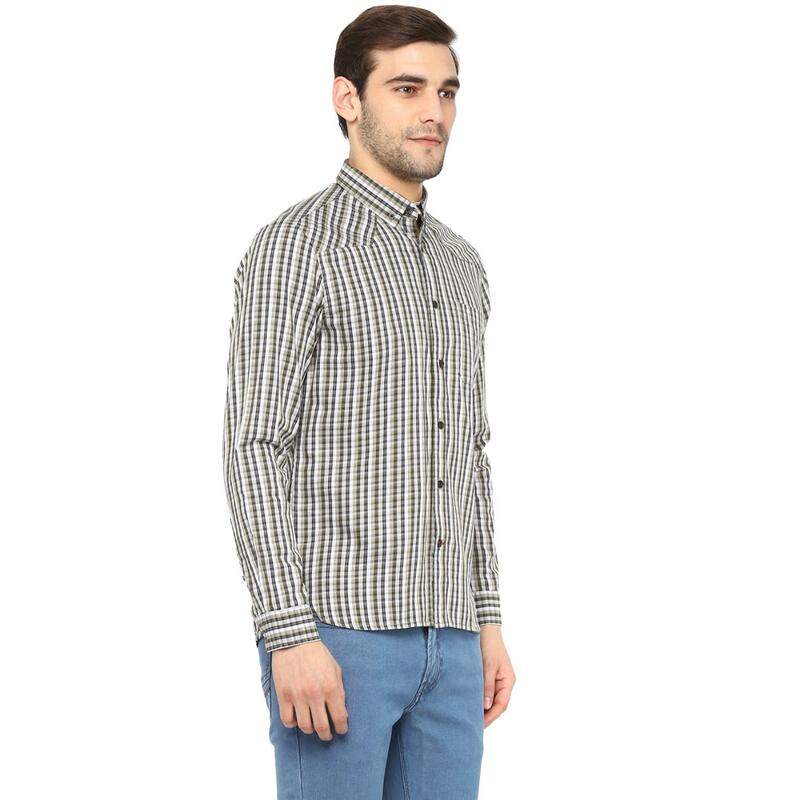 Designed for modern men, this full-sleeved shirt is accented with tartan checks and angle cut cuffs. 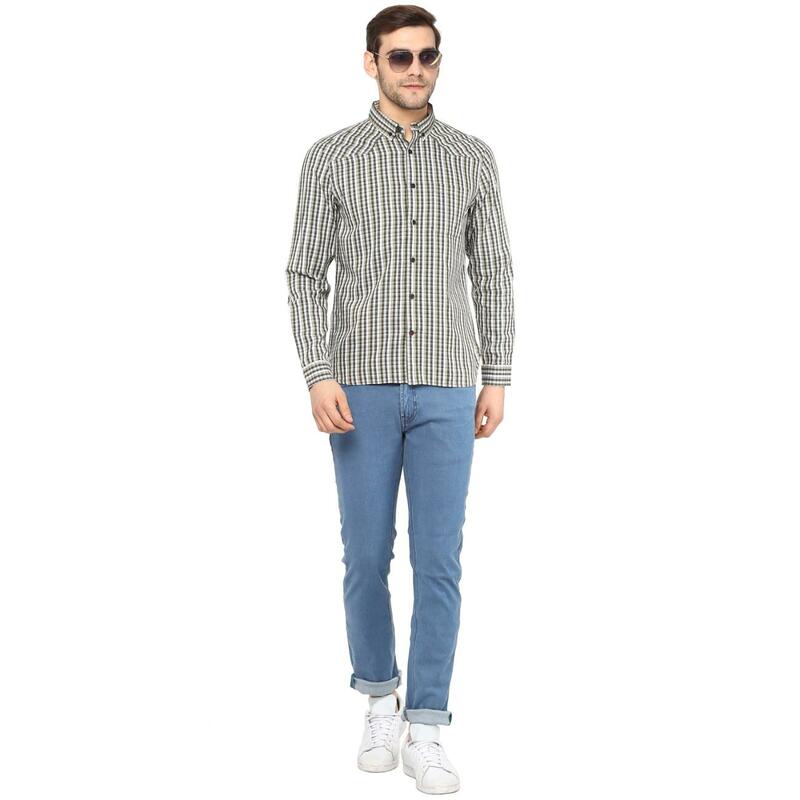 Just pair this shirt with black chinos and loafers to flaunt a smart look.